Get your Les Misérables on Broadway tickets before you travel to New York. Buying your theatre tickets online, is easy and it saves you valuable time and money. 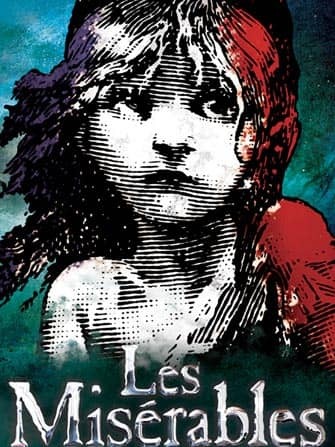 Les Misérables the musical on Broadway in New York is a revival of the Tony Award-winning classic musical loved by many. 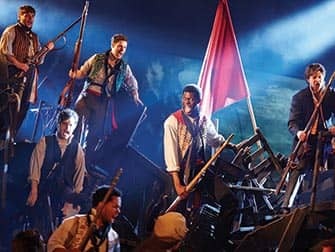 After being turned into a motion picture in 2012 starring Anne Hathaway, Hugh Jackman and Russell Crowe and winning many awards, Les Mis now makes its way back to Broadway. The intimate setting of the Imperial Theatre is perfect for telling Victor Hugo’s classic novel. In fact, Les Mis originally ran in the Imperial Theatre for 13 years becoming a commercial and critical success. Undoubtedly it shall be the same for the new generation of Broadway audiences! 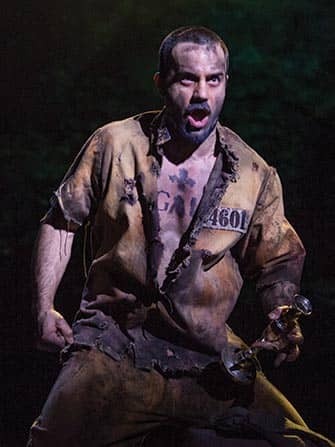 Les Misérables tells the story of Jean Valjean who had been imprisoned for 19 years for stealing a loaf of bread. Embittered by years of hardship, Valjean must learn the ropes of his new life. This is, of course, easier said than done. Valjean’s story runs parallel to and intertwines with that of the French Revolution where young idealists fight for a better country. Naturally, Les Mis is also a story about love. 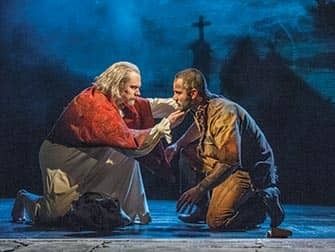 Valjean’s adopted daughter Cosette falls in love with one of the revolutionaries and Valjean finds himself caught in the battle of trying to protect her whilst letting her be free. The story is passionate, heartwarming but above all up-lifting. Since its debut in 1987, one of the most popular songs of the musical has been ‘I Dreamed a Dream’. In the 2014 revival of Les Misérables this song will once again steal the hearts of many. Alongside this popular song, fans will be able to recognise other classics like ‘On My Own,’ ‘Bring Him Home,’ ‘Do You Hear the People Sing?,’ ‘Empty Chairs at Empty Tables,’ ‘Master Of The House’ and many more. And those new to the musical will surely be humming the classic ‘One Day More’ when they leave the theatre. The song, performed by most of the cast, really emphasises the grandness of the story. How to buy Les Misérables on Broadway Tickets? It’s easy to buy tickets. Above you can select the date when you want to go. You’ll get an overview of all the tickets available. You can then choose how many tickets you would like, add them to your cart and pay right away. After paying, you’ll receive a confirmation and your voucher by email right away. You’ll exchange the voucher for tickets at the theatre on the day of the show, at least one hour before the show starts. Seats are assigned by the theatre, which is why you won’t know your exact seating at the time of booking. Seat numbers will be clearly marked on the tickets. For bookings up to 4 people you are guaranteed seating next to each other. For larger groups the theatre will try its best. No unexpected costs. What you see is what you pay! Send me an email at eric@newyork.com.au if you want to book for groups of 9 people or more. Erics Tip: What can I say about Les Misérables: it’s THE musical of musicals. Don’t compare it to the movie though as a theatre performance has a very different ambience. The story and songs are very emotional and to me this is classic Broadway at it’s finest.